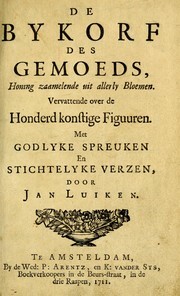 1 edition of De Bykorf des Gemoeds found in the catalog. Add another edition? Are you sure you want to remove De Bykorf des Gemoeds from your list? Published 1711 by By de Wed: P: Arntz, en K: vander Sys in Te Amsteldam . 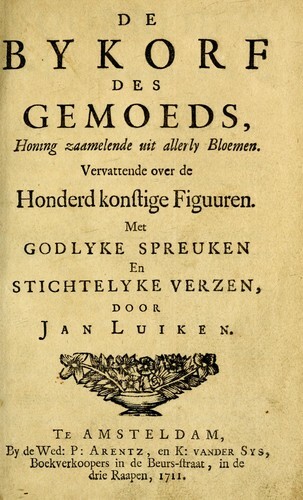 Added engraved title page has title: De Bye Korf des Gemoeds. Landwehr 398; Van Eeghen 438; Springer 4760. June 8, 2012 Created by ImportBot Initial record created, from Internet Archive item record.